After that commercial break, I’m wondering whether the honourable minister is serious because it goes not just to his credibility but that of his colleagues who share similar views: that the government elected by the people of Great Britain is acting on the whims – or even needs – of people in the ex-colonies. Abeng News has ignored this ‘issue’ while it has dragged on, hoping that some magical solution would arise, much as the CTO ministers apparently hoped. Seeing this release from Minister Bartlett, who I’m told is endearingly called ‘Cheeks’, sounds as though he were writing it with a smile. It’s election season in his country and the bell is the symbol of his Jamaica Labour Party (JLP) but the ding dong we’re hearing is not part of the campaign for the December 29 general election to seek endorsement for young Andrew Holness who inherited Bruce Golding’s mess in November. No. This part of the universal Jamaican and Caribbean mess. For example, Jamaica, the country which has stagnated economically for 40 years, has one of the highest departure taxes in the region at the same time as the current administration promotes a labour policy of preparing people for export to seek jobs not being created at home. Indeed in a globalized economy, one casts ones net where there is fish but the utterances of the tourism minister, like the actions of his labour counterpart, Pearnell Chalrles and his teams to Canada and the USA farms, reeks of exporting governmental responsibility to climes which are growing increasingly colder. The tourism industry upon which the Caribbean now almost solely depends, got its kick start when the Boston fruit company in the late 1800s, discovered a banana industry and then tagged on the vacation traveler to Jamaica. No intellectual input from the host countries. A century later, when the successors of the same banana companies, having abandoned Caribbean fruit, pressures the European ex-colonizers to do the same, the region paid – and continues to pay – zillions to lobbyists to flog dead banana and sugar horses. And as the old mother country of the Anglophone Caribbean comes under economic agony and money grabs from its own electorate and departing passengers, the abandoned children want to use moral suasion to cling to the falling (dwindling) crumbs. Now the bearers of tourism gifts threaten the Caribbean industry and this is the reaction. We know it can be difficult creating change and progress in so-called Third World countries where Western democracy ideals and transparency in governance are at a premium for their scarcity: the dreadlock and the turban wearing masses who are not accepted for their way of grooming and dress in their local disciplined forces, exact democracy and inclusion in the military, police and fire service of their Western hosts; so whether as individuals or government we’re in good company. Transparency International just gave Jamaica a resounding 3.3 out of 10 in its 2011 Global Corruption Perception Index (CPI) Rankings, which were released last week, with a country ranking of 86 out of 182 countries. In 2010, the country’s CPI score was also 3.3, while it was ranked 87 out of 178 countries. 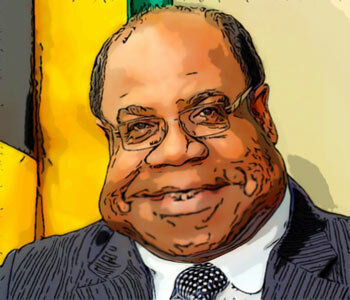 If the Jamaica government would listen to its people and answer calls for probes into the national leadership’s involvement in drug and murders – such as the matter of the present lot’s involvement with Mr Dudus Coke and the killings resulting from its refusal to allow him to be tried for crimes in the USA; and the aspiring people’s National Party’s Trafigura money swindle then Minister Bartlett would have solid moral grounds to chastise the Brits. Two days after the May 2010 military incursion into the West Kingston enclave of Tivoli Gardens to apprehend Coke, with more than 80 people killed, government and private tourism interests in Jamaica were declaring to the world “everything cris'” (Jamaican for ‘all hunky-dory’). But over a year later, no politician has been held accountable for the debacle and deaths and the socio economic system that led to the rise of Coke and his ilk remains entrenched.